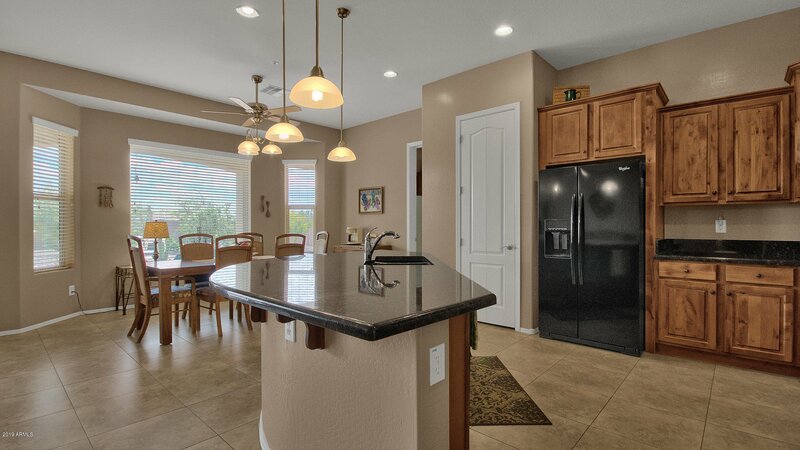 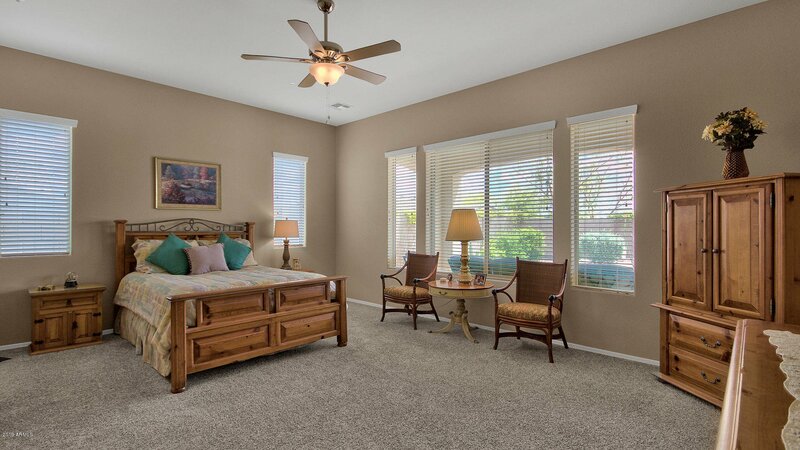 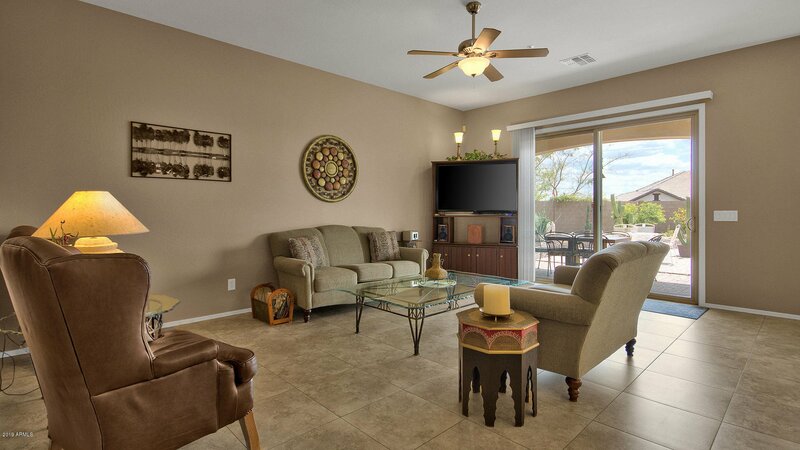 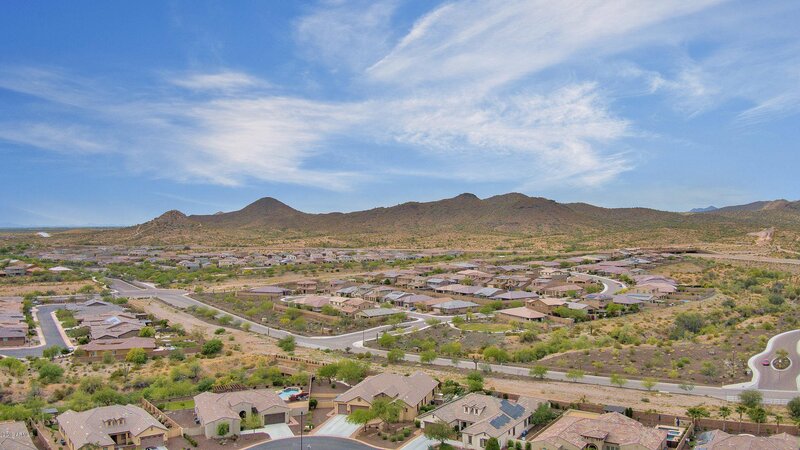 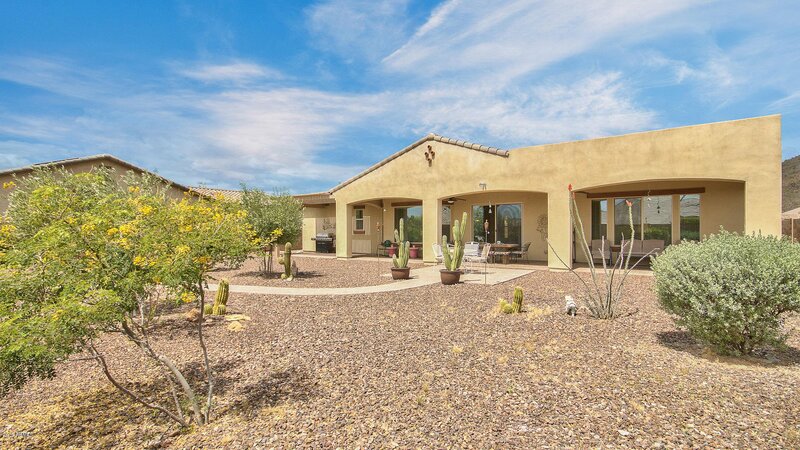 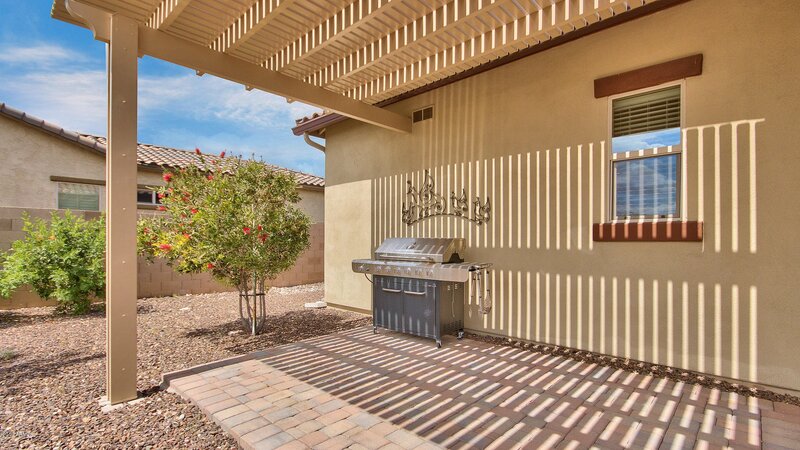 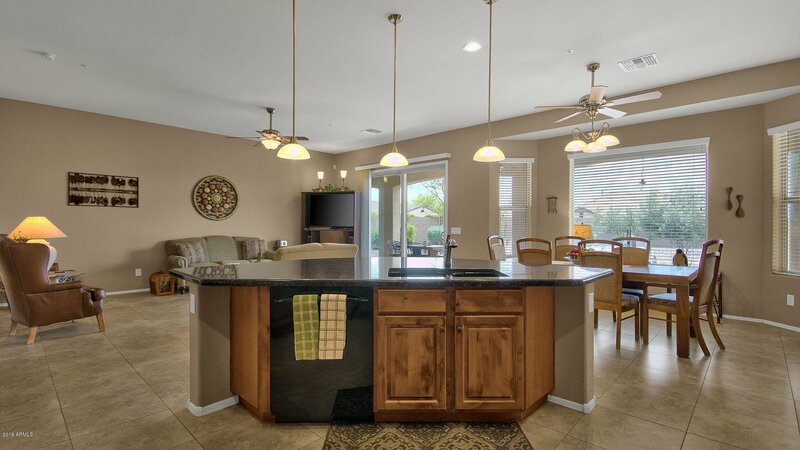 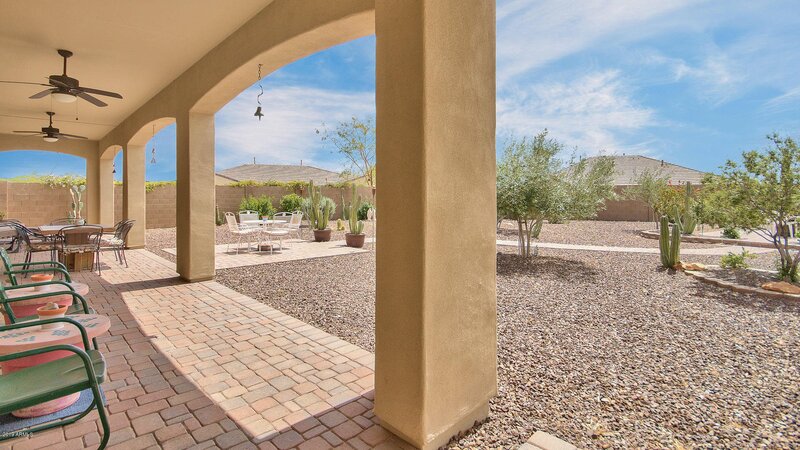 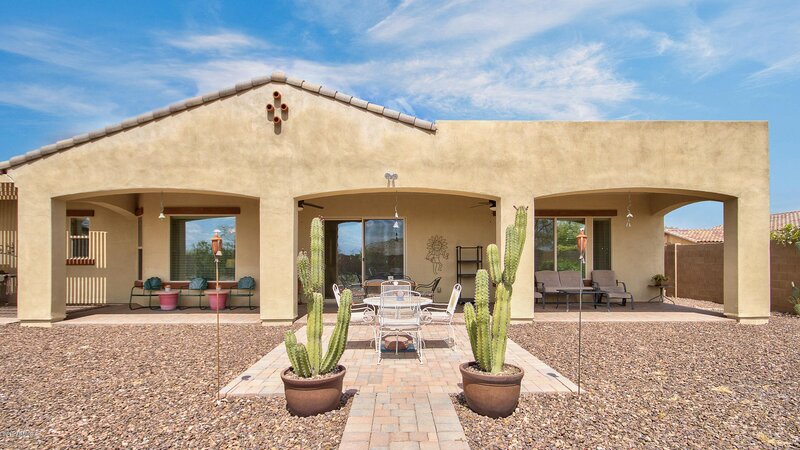 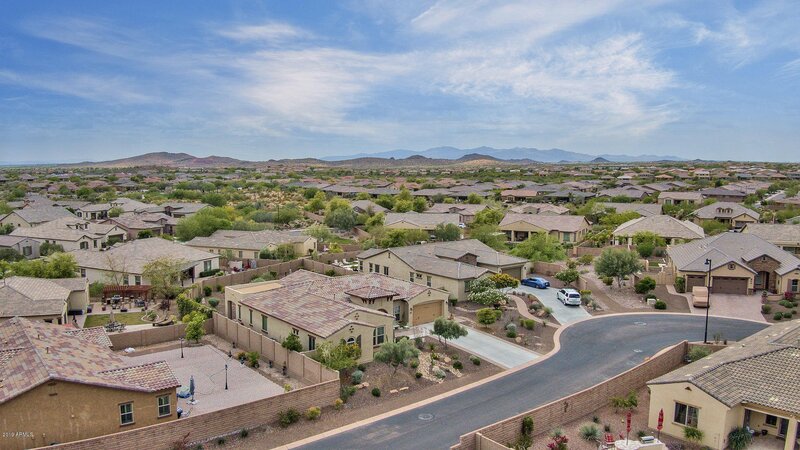 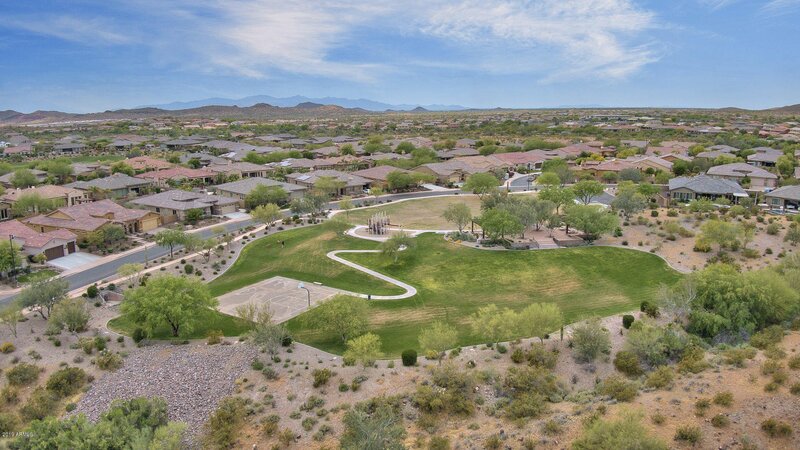 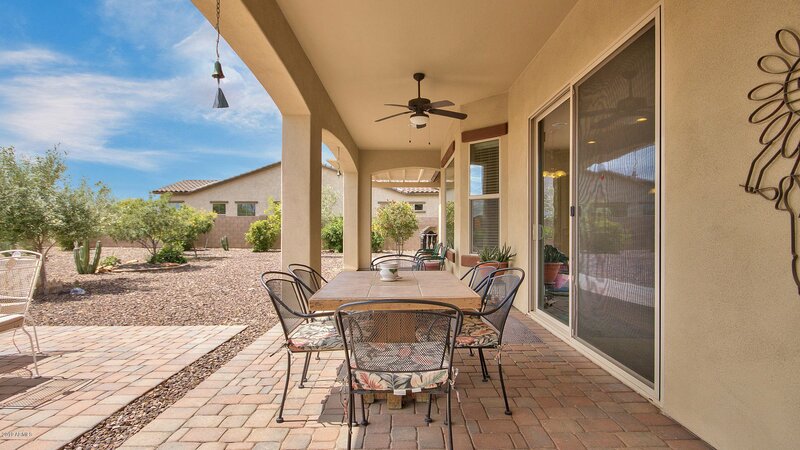 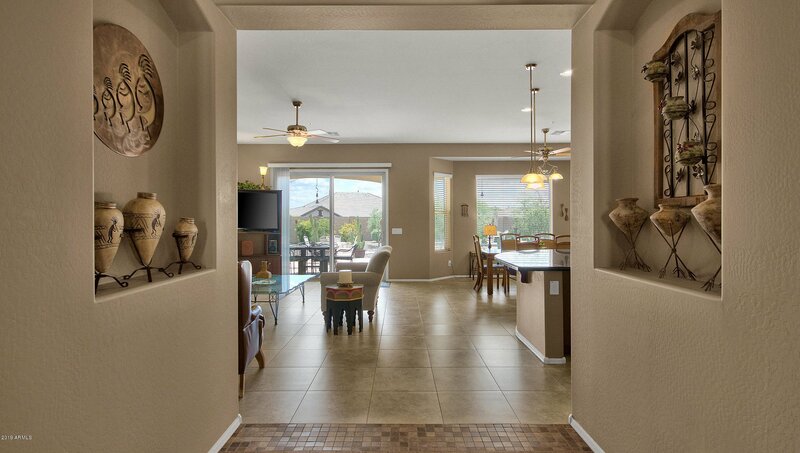 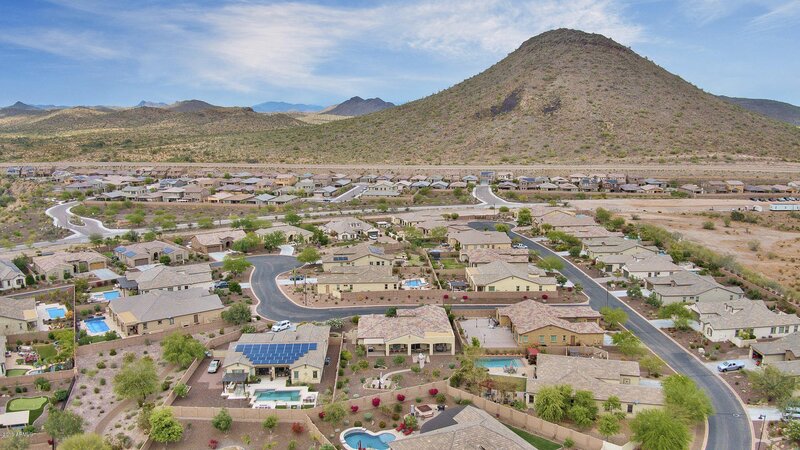 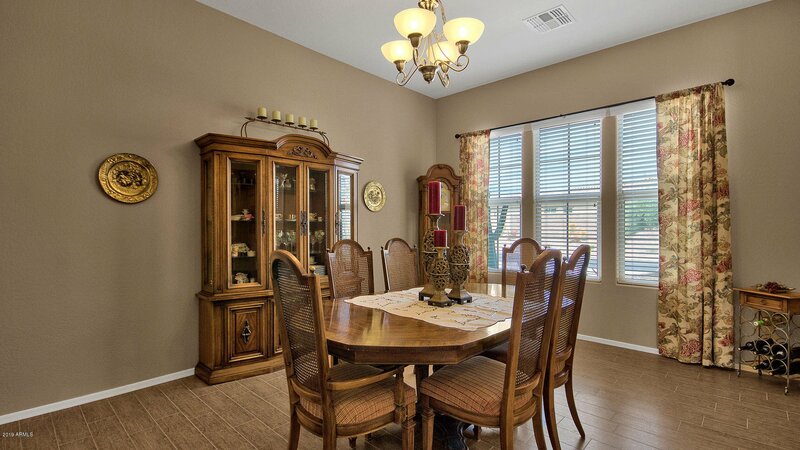 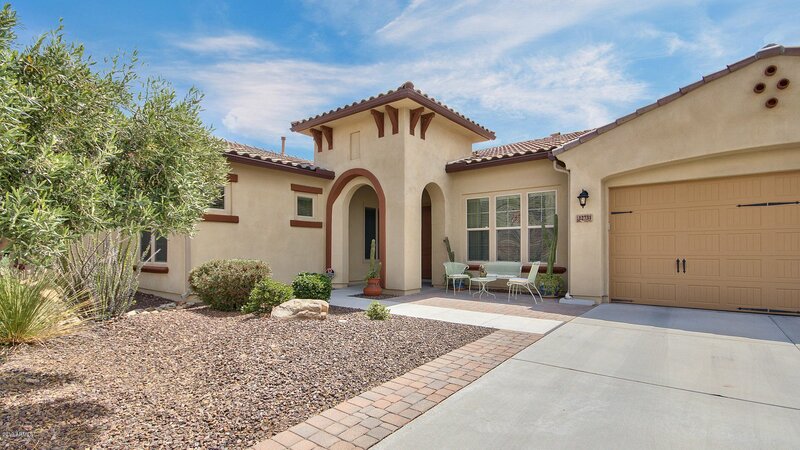 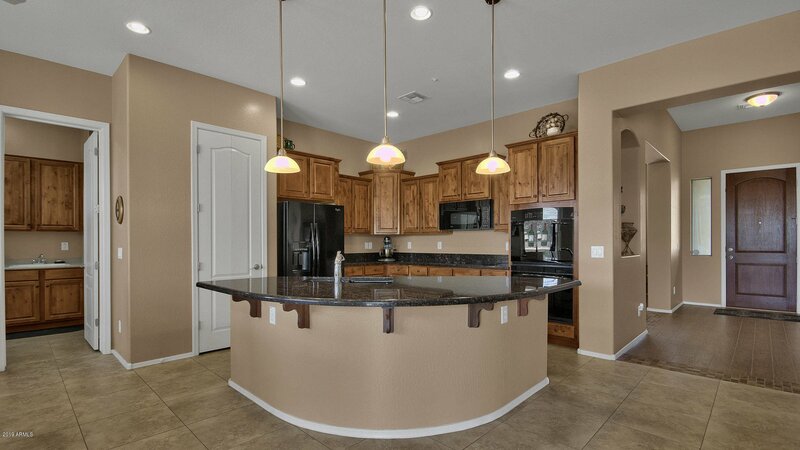 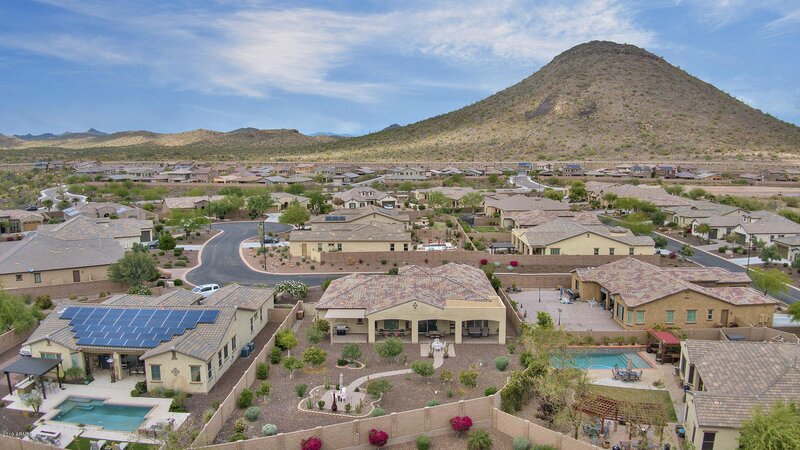 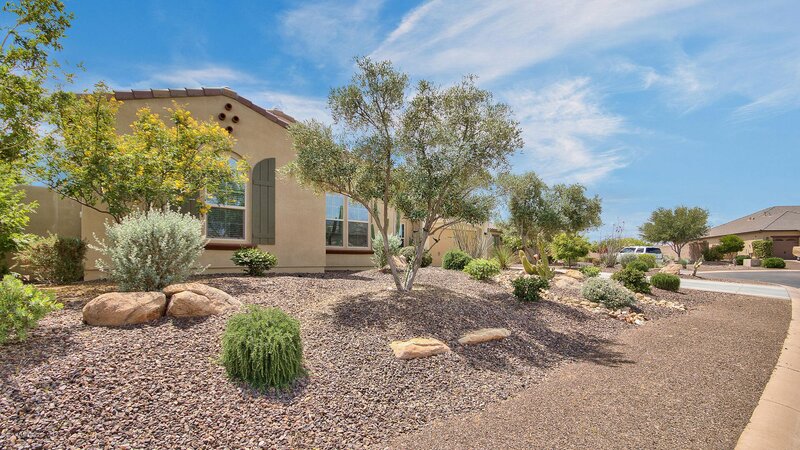 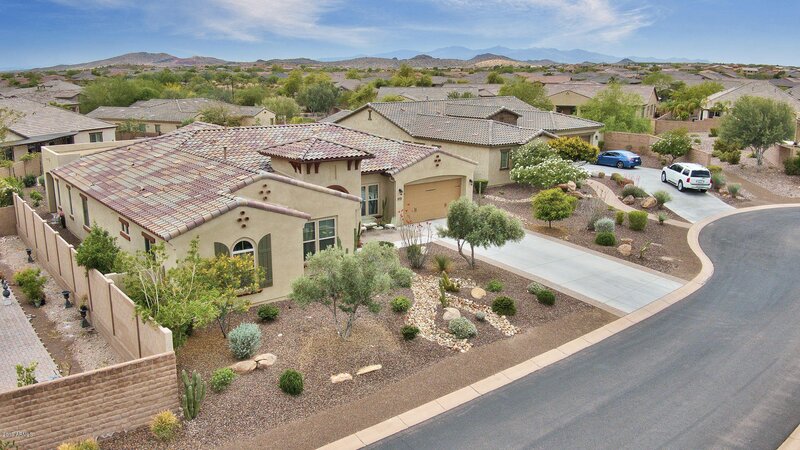 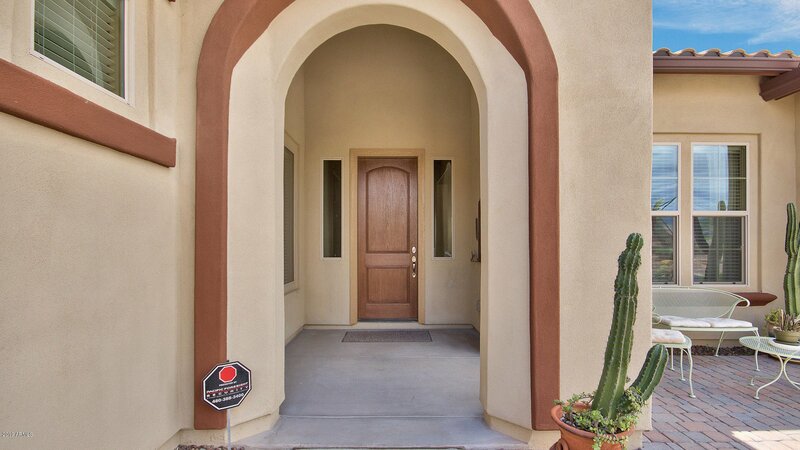 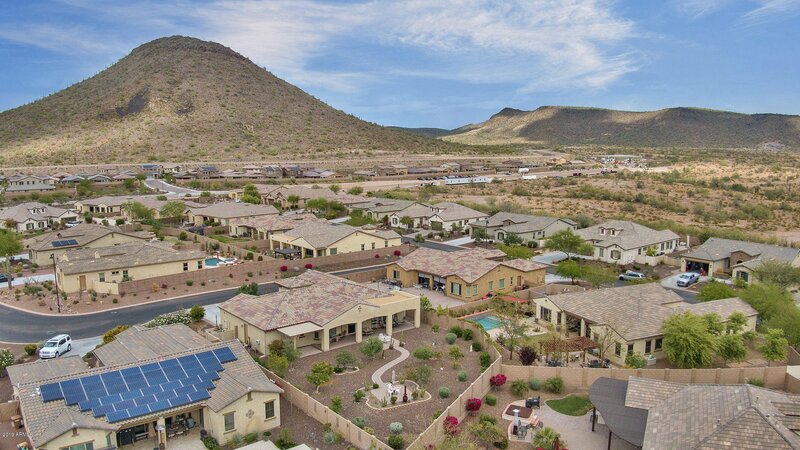 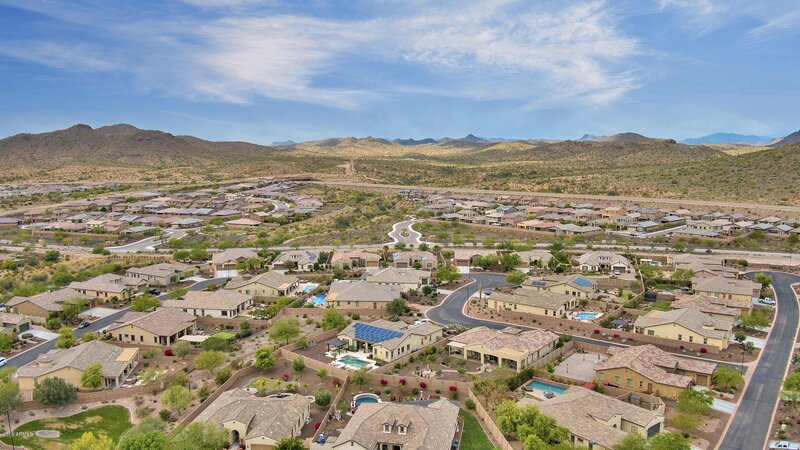 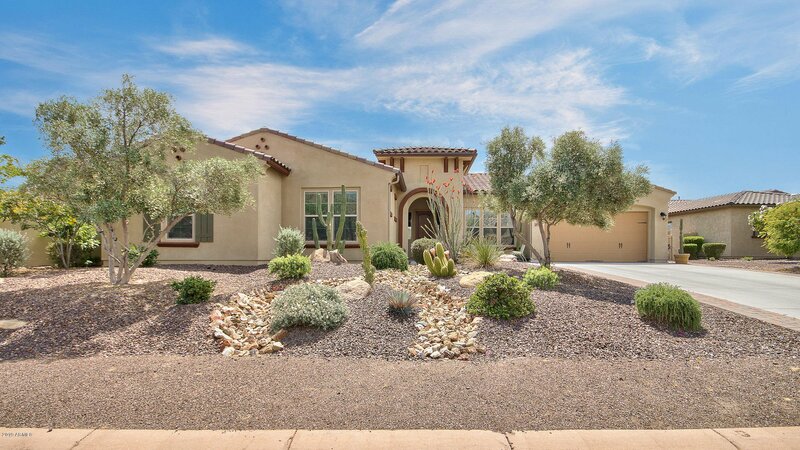 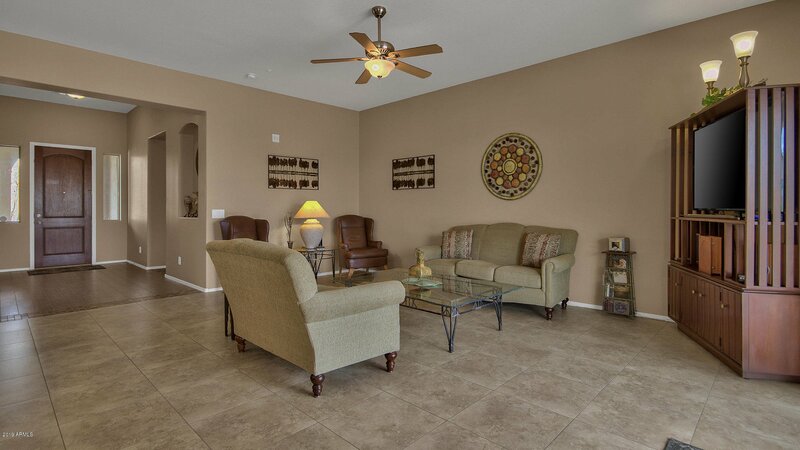 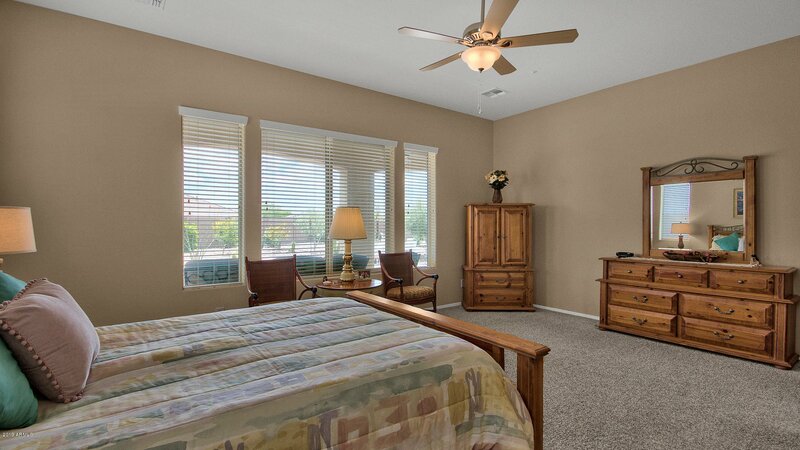 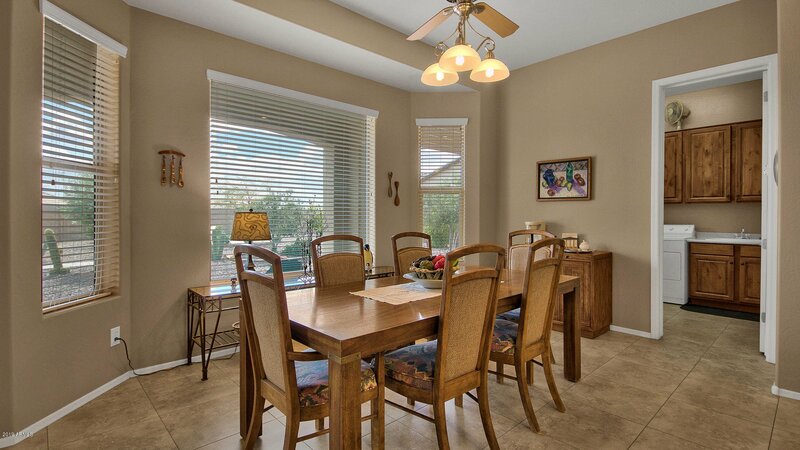 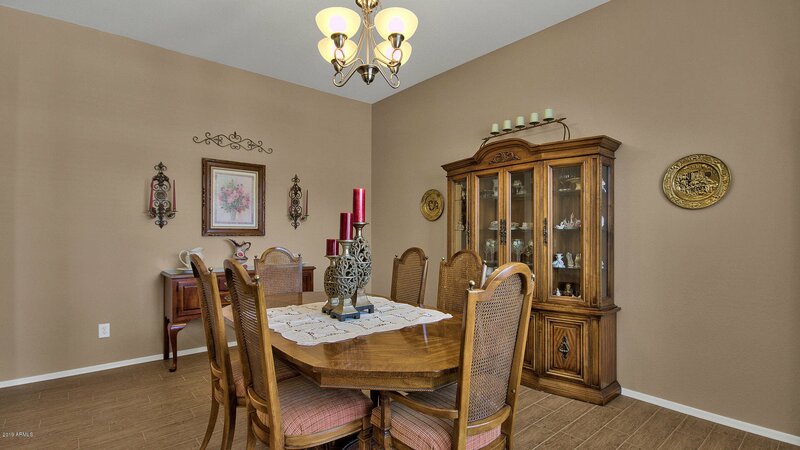 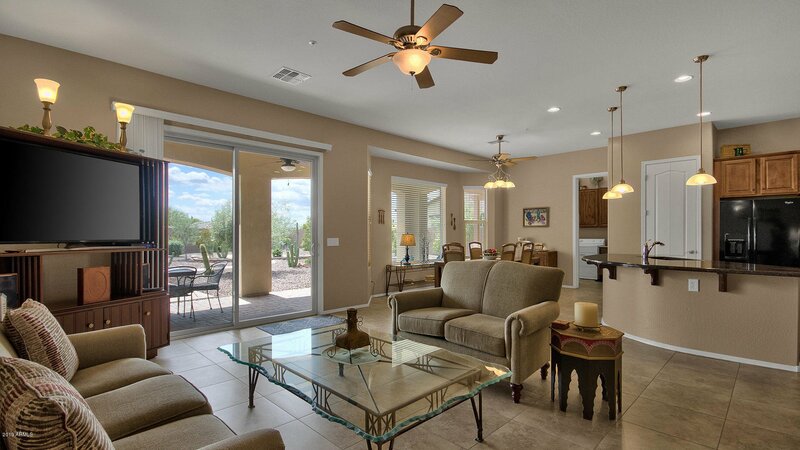 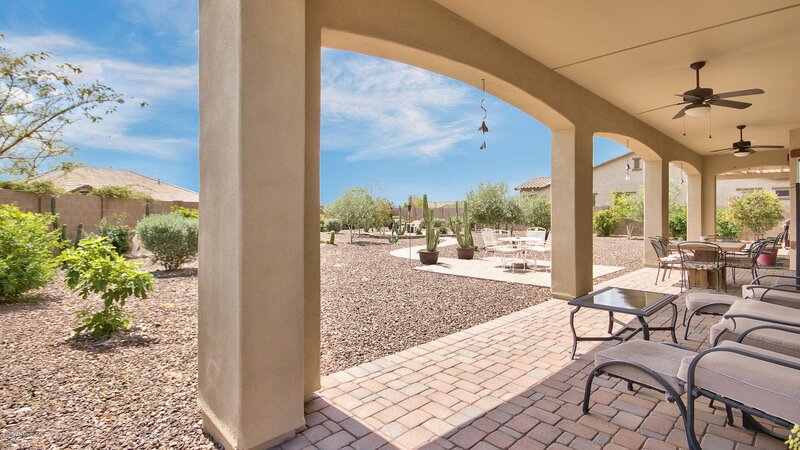 Country club living at Blackstone at Vistancia. 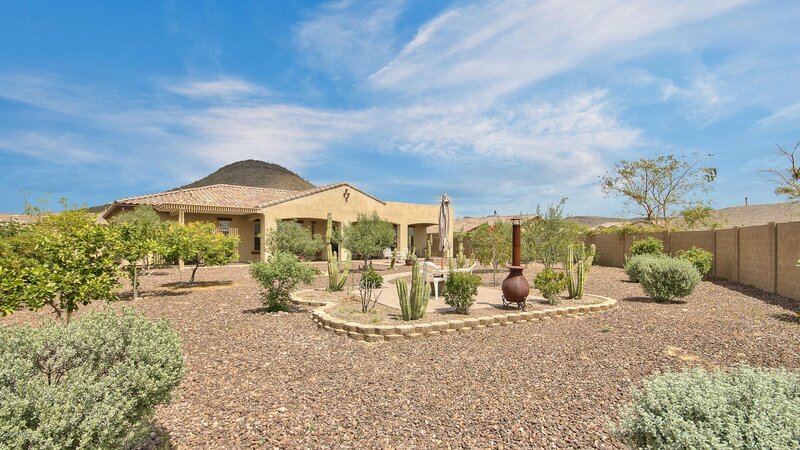 Gorgeous home with mountain views. 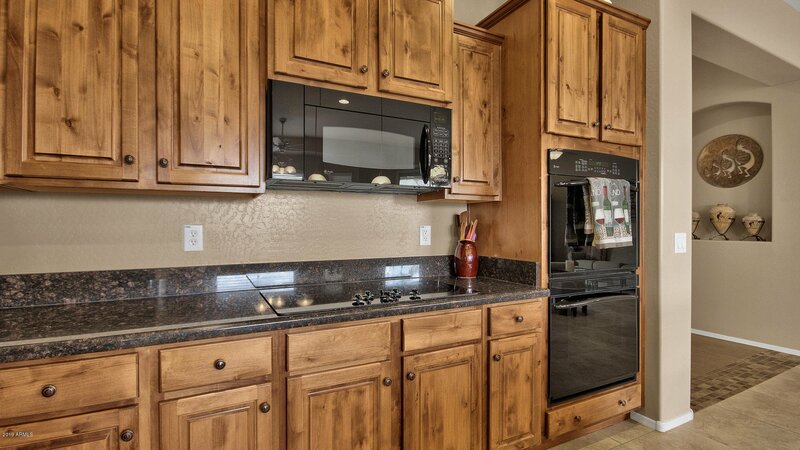 Designer kitchen features 42'' Knotty Alderwood staggered cabinets, island w/pendant lighting, granite counter-tops, w/black GE Profile cook-top, convection dbl oven, refrigerator, microwave and dishwasher. 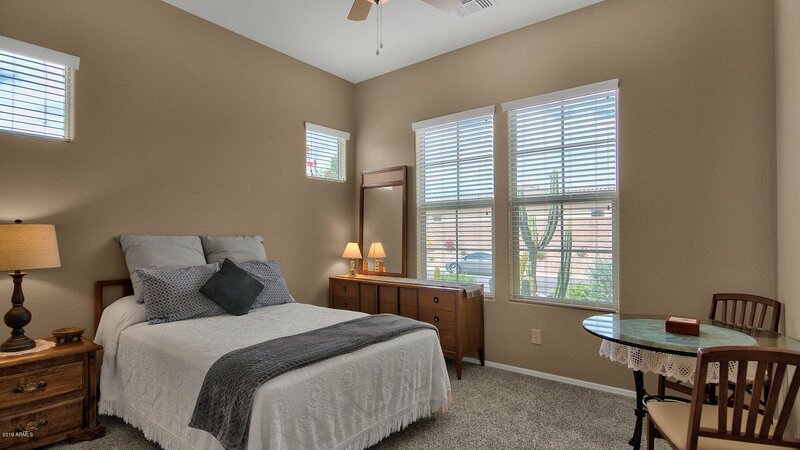 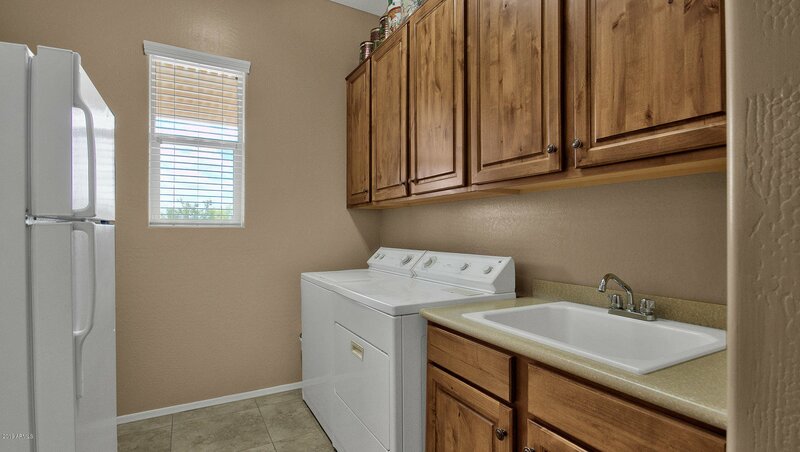 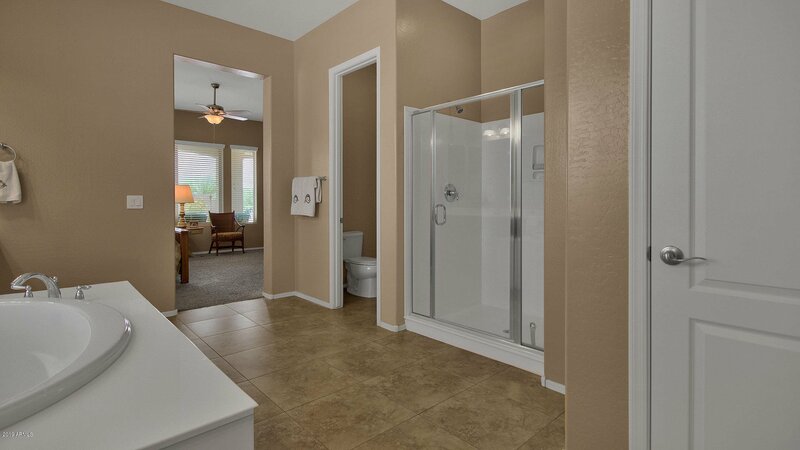 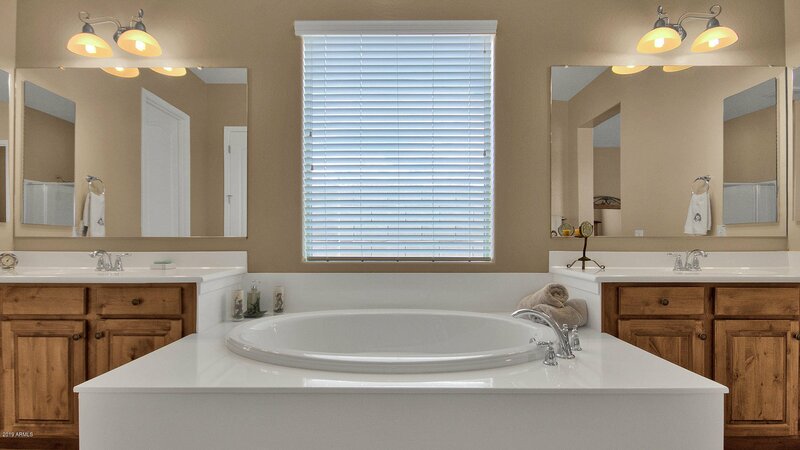 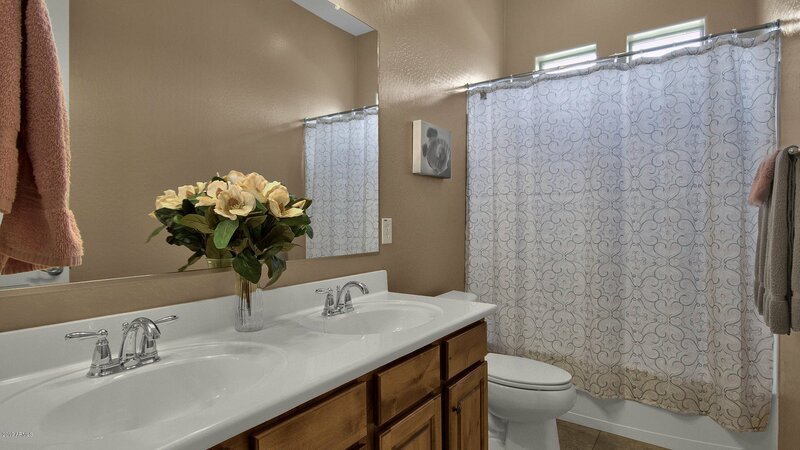 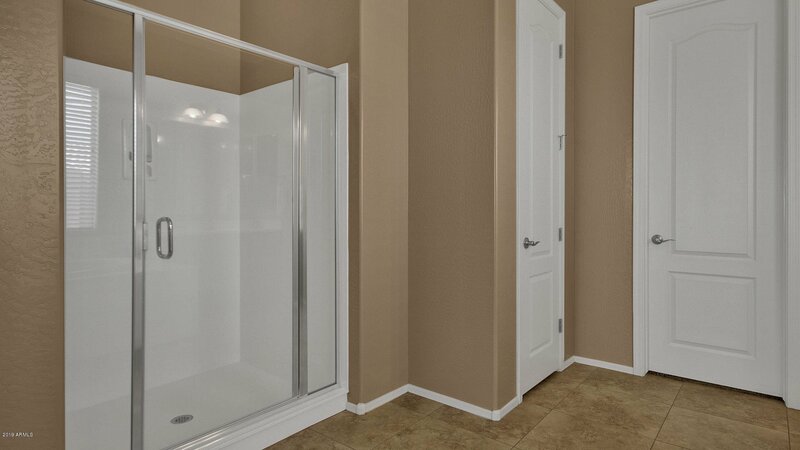 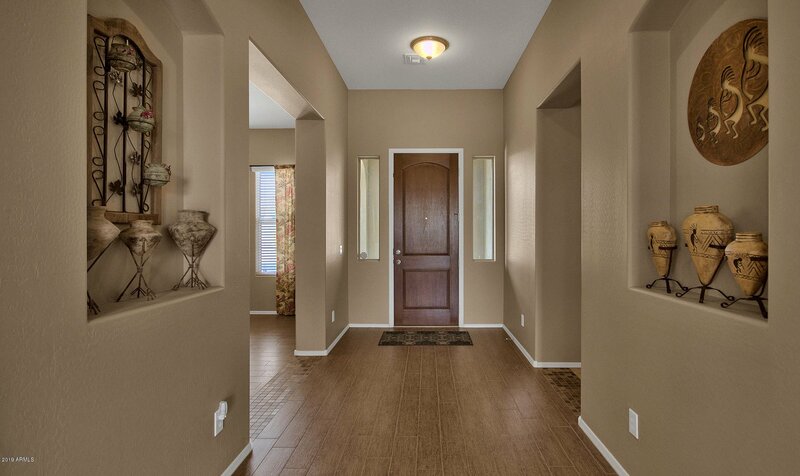 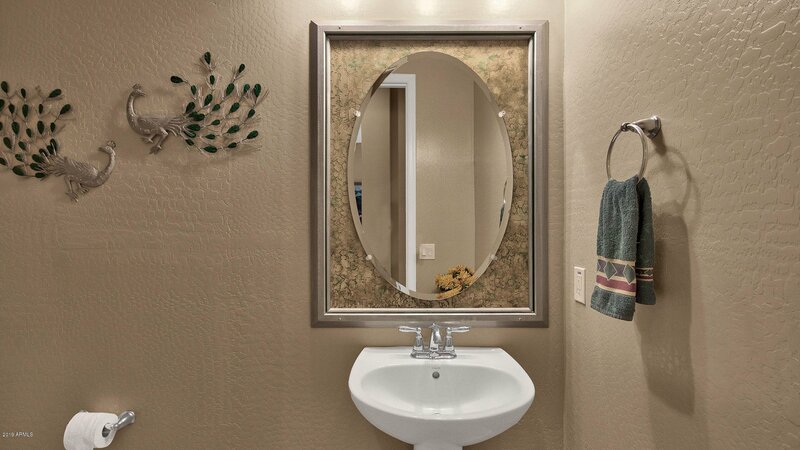 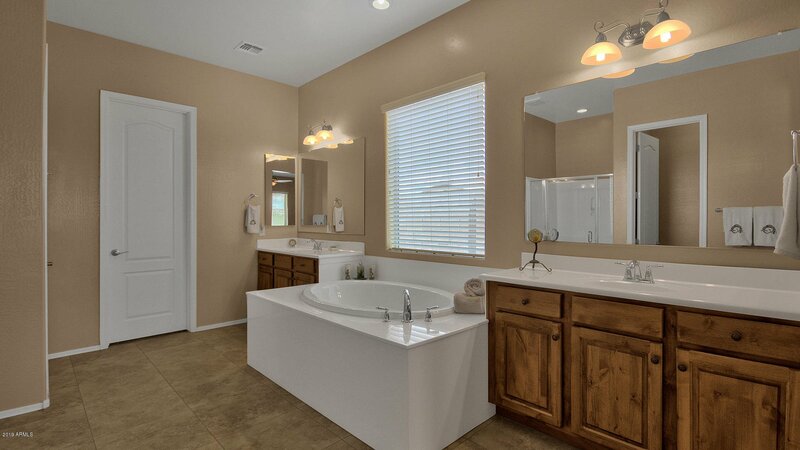 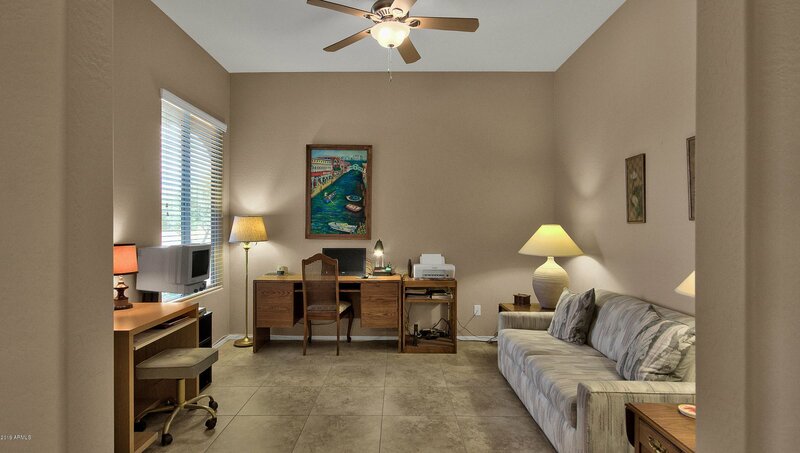 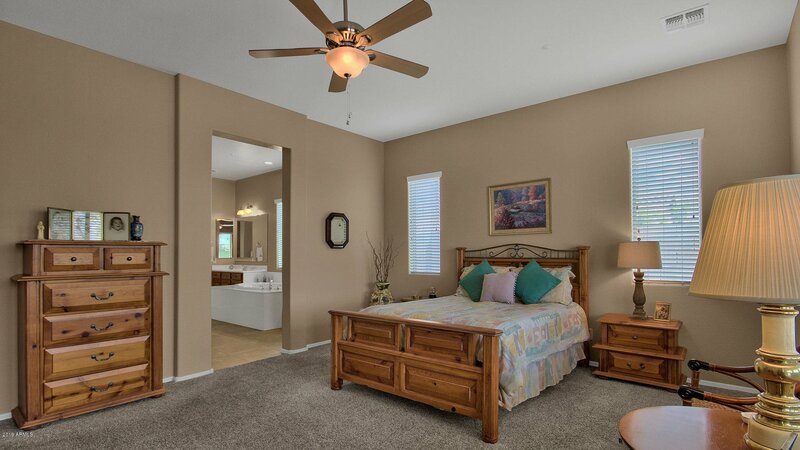 20'' tile flooring in through main rooms & baths with carpet in bedrooms. 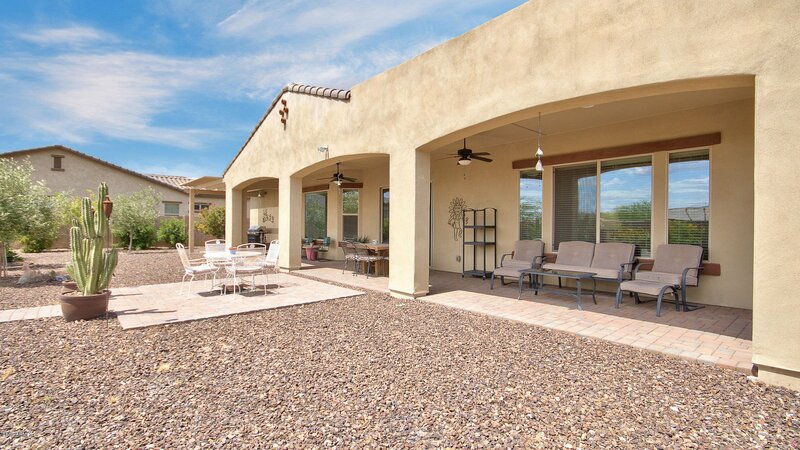 Full length covered patio w/pavers. 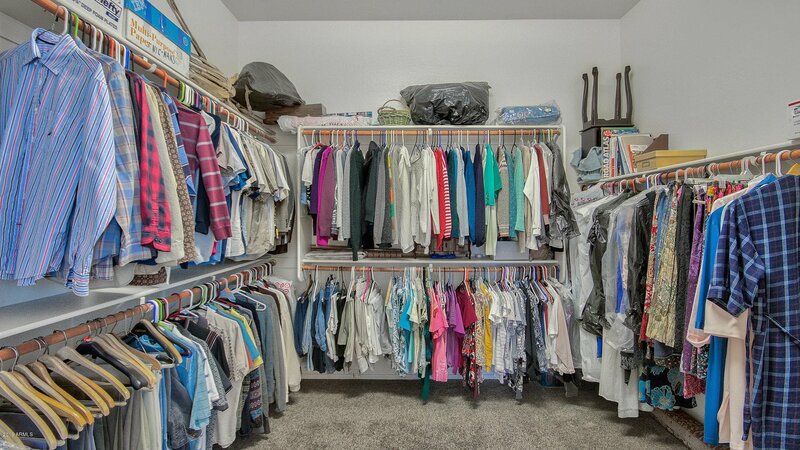 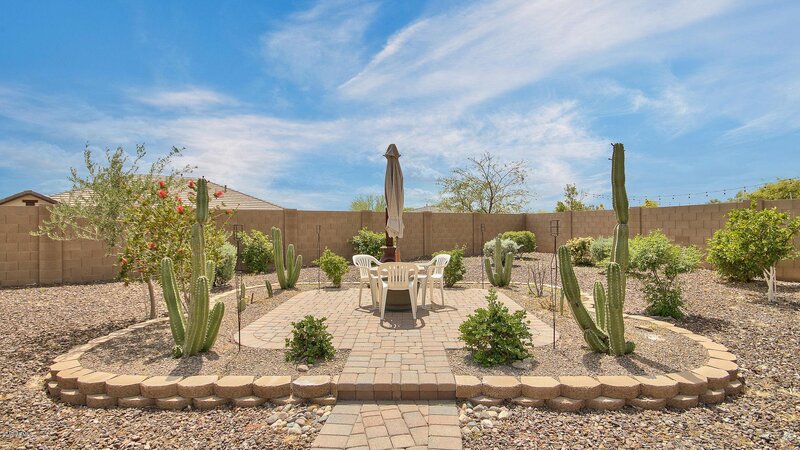 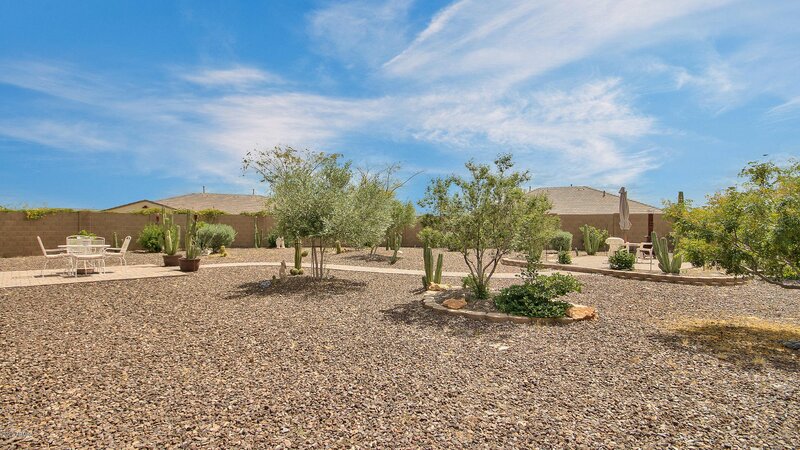 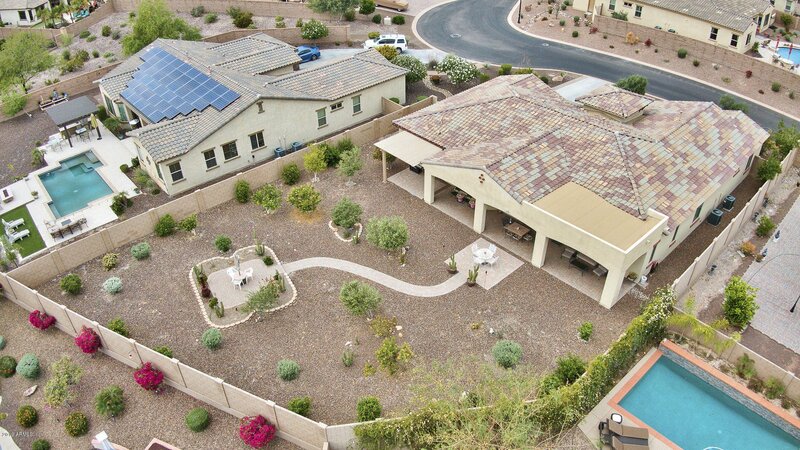 Over-sized 14736 sqft fully landscaped lot with pavered walking path. 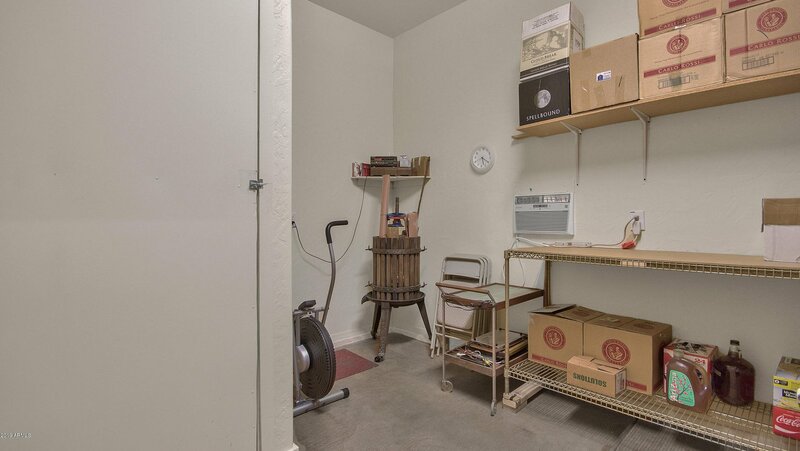 3rd car garage converted to workshop. 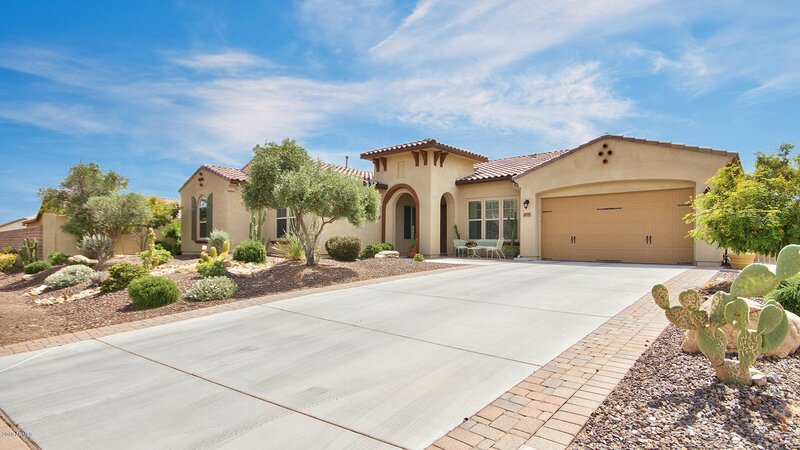 It can be changed back to a 3 car tandem garage. 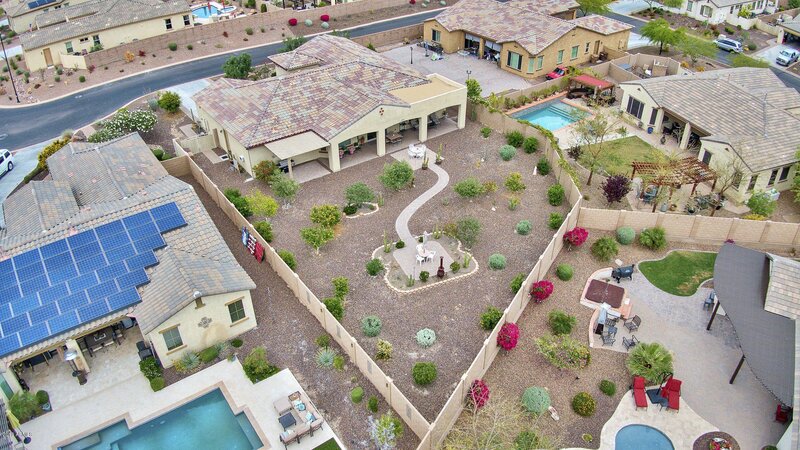 The private and fabulous Blackstone Country Club has separate memberships available.l Also, Tribal Waters Custom Pools, Jason Anderson, Master designer, has suggested designs available to create a resort style backyard.